Thank you for your interest in helping make the Webster County Fairgrounds great.There are several ways that you can become a part of the team. From joining the Board, being a part of a committiee, or helping out on a specific project or event, you will find the time you spend both rewarding and fun. 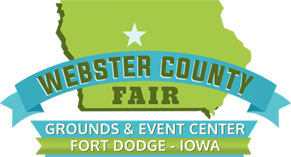 E-mail, webstercountyfair@gmail.com regarding how you would like to be a part of the Fairgrounds.